Starting a new occupation is a big task. Take, say, becoming a Nanny for example. You have to be able to cook, clean, and take care of children all while keeping a cool demeanor and a big smile on your face. And then comes the kicker. You have to sing too! Tall order, but we're sure your child has got it in her. That's why it's her time to become the singing nanny! 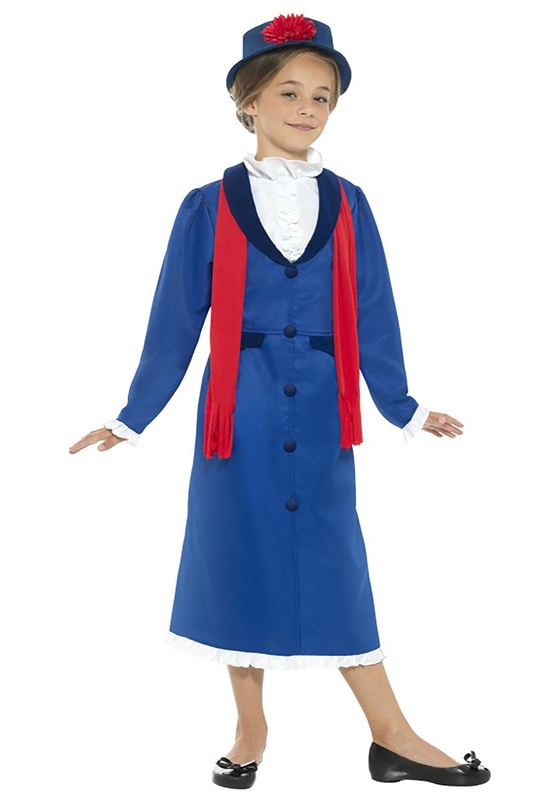 This costume will give her the chops to do her duties, all while singing a fair song or two along the way. Let's sing! 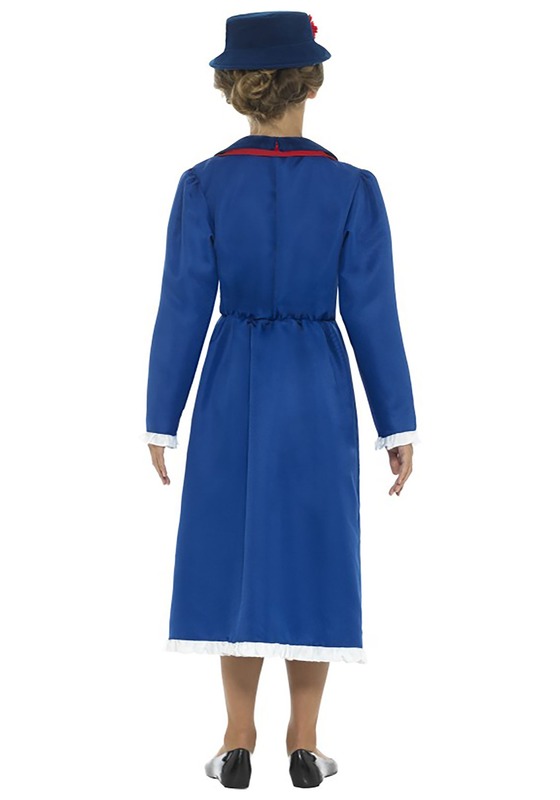 This stylish costume will have her ready for a whimsical adventure. As a blue dress that's styled as a jacket over a skirt and blouse, it also comes with a hat and scarf. The style is on point for, oh, say about 1910 London fashion, or at least for what styles would have been popular with nannies of that era. Nannies of the singing variety, that is! Teach her a few tunes, and maybe grab her an umbrella, and that's it. She'll be ready for duty! We sure hope those kids appreciate her nannying abilities. We're sure they'll at least love her cool costume!